Bratt’s very own Donut Boy Tyler Carach is featured in a new Today Show video. Tyler is a Byrneville Elementary School student by day, and an after school superhero that’s on a mission to thank law enforcement officers. 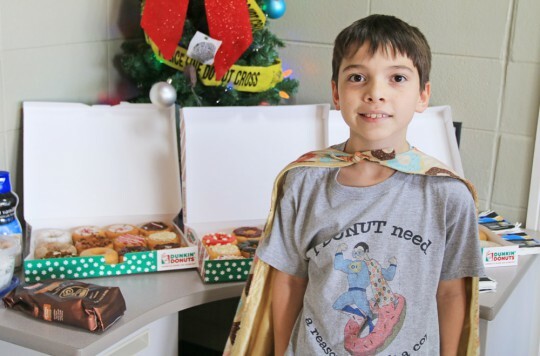 Tyler and his mother Sheena, who is a former police officer, created the “I DONUT need a reason to THANK a cop” program after an encounter with Escambia County Sheriff’s deputies at the former Gilley’s Store in Bratt during the summer of 2016. 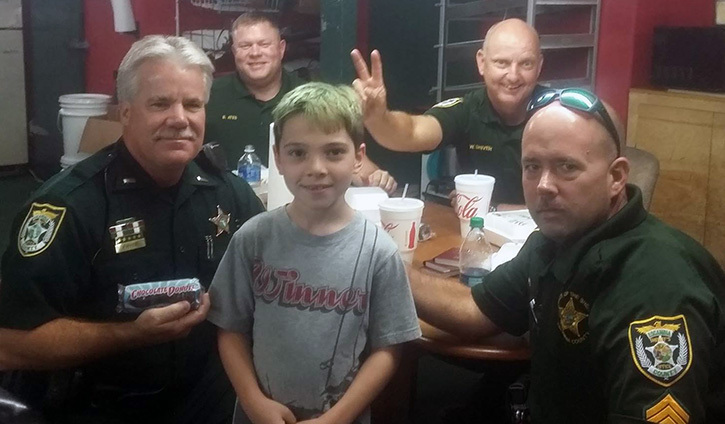 He asked if he could use some of his own money to buy doughnuts for the officers, purchasing four packs of chocolate doughnuts to share with the deputies. 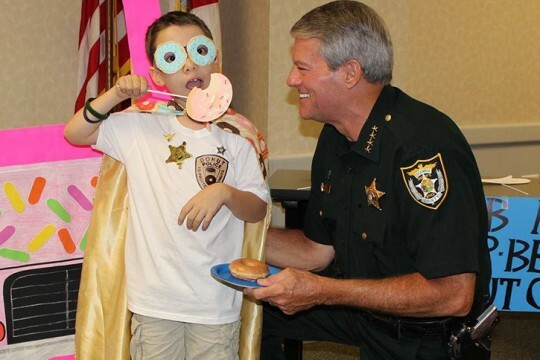 He learned that there are just over 400 sworn officers in the Escambia County Sheriff’s Office, and he composed a letter to a Pensacola Krispy Kreme asking for a discounted bulk price. The store manager instead donated 420 doughnuts to the project. Tyler, dressed in a superhero doughnut cape, delivered the doughnuts to Sheriff David Morgan and his department. And now he’s on a mission to thank every cop in America. 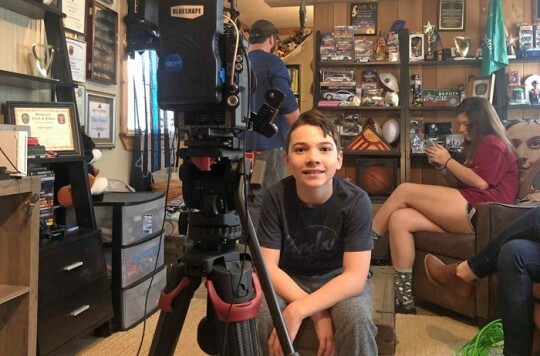 It’s a mission that’s taken him all over the country to law enforcement agencies of all sizes, from the Flomaton Police Department to the New York City Police Department. He was first featured on NorthEscambia.com shortly after his adventure began, and he has since appeared in media across the country including the CBS Evening News, The Steve Harvey Show and many, many others. 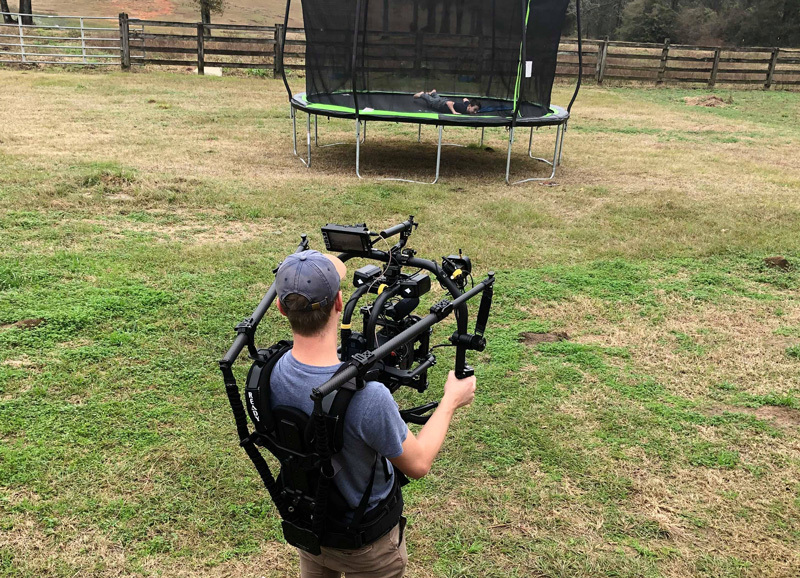 The Today Show video was shot at the Carach family home in Bratt during the first week of January. Pictured inset: Tyler Carach the first time he shared doughnuts with deputies in Bratt back in 2006. Pictured first two photos below: The filming of a Today Show video in Bratt during January. Also pictured below: Tyler at the Atmore Police Department and with Escambia County Sheriff David Morgan. 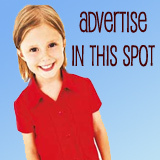 NorthEscambia.com photos and photos for NorthEscambia.com, click to enlarge. Tyler congratulations on a job well done. Any story about Tyler makes me proud to be an American. God sure blessed his family with this young man. Proud of Tyler and his big heart. May God bless him and our officers! This is great! Thank you for recognizing how valuable this service is to our area and to our country! I love that this young man enjoys blessing others. He has already made special memories with his mom through this. May his heart remain genuine as he gives. & may those who receive value the gift… which is not just donuts… it is love and respect.